Today, June 15, is BBC Music Day and it is being marked with the unveiling of 47 Blue Plaques, commemorating the lives of significant musicians. The plaques are placed on buildings where people of note either worked lived, or were born. 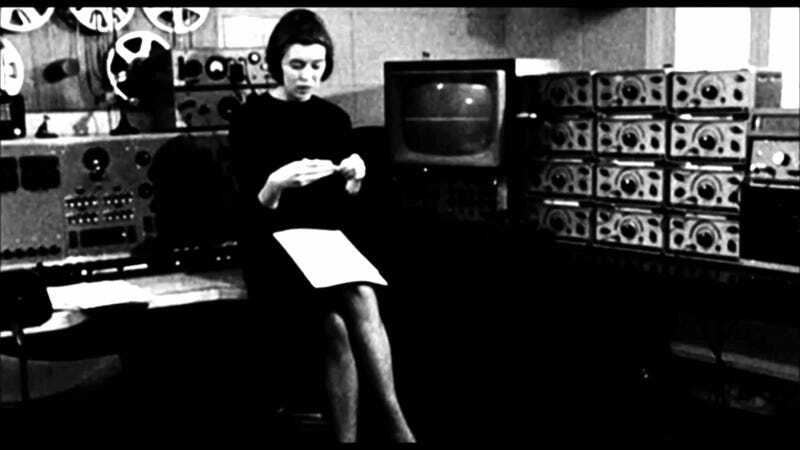 One such plaque is being installed at the Coventry home of Delia Derbyshire, mathematician and composer, high priestess of the Radiophonic Workshop and the person who led the team that gave us the Doctor Who theme tune. Thinking of Strange Doctors, Pink Floyd founder Syd Barett gets a plaque at the Cambridge School of Arts. Motorhead and one time Hawkwind member Lemmy had a plaque unveiled in Stoke on Trent. David Bowie has been remembered with multiple plaques put up in his honour. They include Trident Studios in London where he recorded albums including Hunky Dory, as well as at Hull Paragon Station as many of the Spiders from Mars where from the East Yorkshire city. In Maidstone, Kent, Bowie’s time as a member of The Manish Boys was noted. Hmm, should that be Manish of Kent, or Kent Manish? Others include Led Zeppelin’s drummer John Bonham, and Nick Drake (whose sister Gabrielle appeared in UFO).